*Bilingual article / *Artículo Bilingüe - Gamers Can Team Up to Unlock the Linkin Park “CASTLE OF GLASS” Music Video Early with Three Million Beta Downloads. *Siga aquí para comunicado de prensa en español. EA has announced an open beta for Medal of Honor's multiplayer. Other games have tried this before as it seems like a great way get people excited for the game while also testing the game and servers. Have you been considering getting Medal of Honor? Maybe this beta will help you decide. The press release is below, in both English and Spanish. When two super soldiers square off, who will rise to the top? The age old question is about to be asked – and answered – this October. Danger Close™ Games, a studio of Electronic Arts (NASDAQ: EA), has announced that it is offering players an open multiplayer beta worldwide for Medal of Honor™ Warfighter. In this innovative multiplayer design, the most elite soldiers from 10 different nations go head-to-head to see who is top dog. Gamers can choose from among 12 Tier 1 units including the British SAS, German KSK, Russian Spetsnaz Alfa Group, Korean UDT and U.S. Navy SEAL as they represent their elite Special Forces online. Powered by the advanced technology of the Frostbite™ 2 game engine, Medal of Honor Warfighter is the only shooter that lets the best-of-the-best soldiers from around the world battle it out in multiplayer to determine who will reign supreme. Fans who join the battle can help unlock the new Linkin Park “CASTLE OF GLASS” music video. EA will release the video five days after the beta launches but gamers can unlock it earlier by downloading the beta and hitting the three million download mark. Debuting this October, the concept for Linkin Park’s “CASTLE OF GLASS” music video is the result of direct collaboration between members of Linkin Park and Danger Close Games. Produced by Mothership with visual effects and animation by Digital Domain for Danger Close, the video will feature a unique mix of live action footage edited with gameplay recordings taken from Medal of Honor Warfighter. Gamers that download the beta will also be awarded with 60 minutes of Double XP when the full game launches. 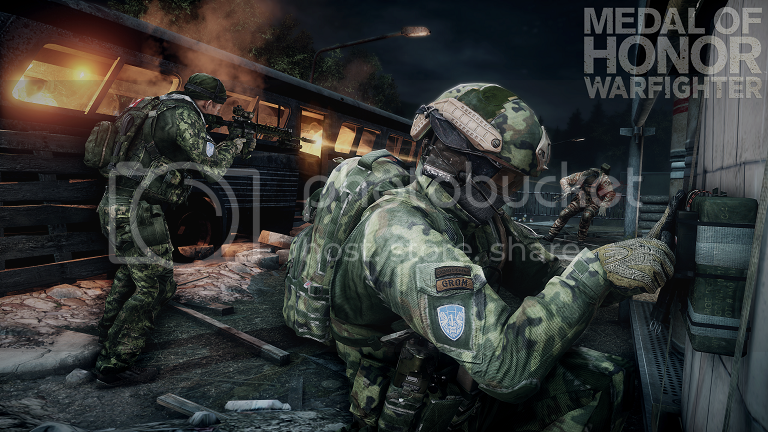 The Medal of Honor Warfighter beta will feature a brand new multiplayer mode called HotSpot, where players attack and defend randomly-selected locations on the Sarajevo Stadium map in Bosnia. Inspired by real life operations, players team-up in pairs using the game’s unique co-op Fireteam system for a competitive advantage on the battlefield. The Medal of Honor Warfighter multiplayer beta will be available for a limited time in early October exclusively for the Xbox 360® video game and entertainment system. Written by actual U.S. Tier 1 Operators while deployed overseas, Medal of Honor Warfighter is set to deliver this year’s most authentic military shooter experience inspired by real people, real places and real operations. Medal of Honor Warfighter features genuine international hotspots in the single player campaign and introduces international Tier 1 Operators in multiplayer allowing players to show their national pride online. Players that pre-order the Medal of Honor Warfighter Limited Edition before the game launches on October 23 will receive the Medal of Honor Warfighter Zero Dark Thirty Map Pack in North America or the Medal of Honor Warfighter The Hunt Map Pack in the rest of the world, at no extra cost. Medal of Honor Warfighter will be available in North America on October 23 and in Europe on October 26 for the Xbox 360, PlayStation®3 computer entertainment system and PC. For more information on Medal of Honor Warfighter be sure to visit www.medalofhonor.com, and www.facebook.com/medalofhonor, or follow on Twitter at www.twitter.com/medalofhonor. Press assets are available at www.info.ea.com. Los jugadores pueden formar equipos para desbloquear antes de tiempo el video musical “CASTLE OF GLASS” de Linkin Park al llegar a las tres millones de descargas del beta. Cuando dos soldados se ponen en guardia ¿quién se quedará con la victoria? Esta vieja pregunta será formulada– y respondida – el próximo Octubre. Danger Close™ Games, un estudio de Electronic Arts (NASDAQ: EA), ha anunciado que ofrecerá un beta multijugador abierto a nivel mundial para Medal of Honor™ Warfighter. En este innovador diseño multijugador, los soldados de elite más importantes de 10 naciones diferentes se confrontan para determinan quién es el que manda. Los jugadores pueden escoger entre 12 unidades Tier 1, incluidas el Servicio Aéreo Especial Británico (SAS), el Mando de Fuerzas Especiales Alemán (KSK), el Grupo Alfa Ruso (Spetsnaz), el Equipo de Demolición Submarina Coreano (UDT) y la fuerza de operaciones especiales Navy SEAL de los Estados Unidos para representar a sus Fuerzas Especiales de elite online. Potenciado por la avanzada tecnología del motor de juego Frostbite™ 2, Medal of Honor Warfighter es el único juego de disparos que permite a los mejores soldados de todo el mundo enfrentarse en modo multijugador para determinar quién reinará. Los fans que se sumen a la batalla podrán contribuir a desbloquear el nuevo video musical de Linkin Park: “CASTLE OF GLASS”. EA hará público el video cinco días después del lanzamiento del beta, pero los jugadores pueden desbloquearlo antes si logran alcanzar tres millones de descargas. El concepto del video musical “CASTLE OF GLASS” de Linkin Park, cuyo lanzamiento está previsto para octubre, es el resultado de la colaboración directa entre miembros de Linkin Park y Danger Close Games. El video, una producción de Mothership con efectos especiales y animación de Digital Domain para Danger Close, es una combinación única de secuencias filmadas de acción en vivo editada con grabaciones de secuencias de juego extraídas de Medal of Honor Warfighter. Los jugadores que descarguen el beta también serán recompensados con 60 minutos de Double XP cuando se lance el juego completo. El beta de Medal of Honor Warfighter contará con un nuevo modo multijugador denominado HotSpot, en el cual los jugadores pueden atacar y defender zonas seleccionadas al azar en el mapa de Sarajevo Stadium en Bosnia. Inspirado en operaciones de la vida real, los jugadores arman equipos de a dos utilizando el singular sistema de juego Fireteam para obtener una ventaja competitiva en el campo de batalla. 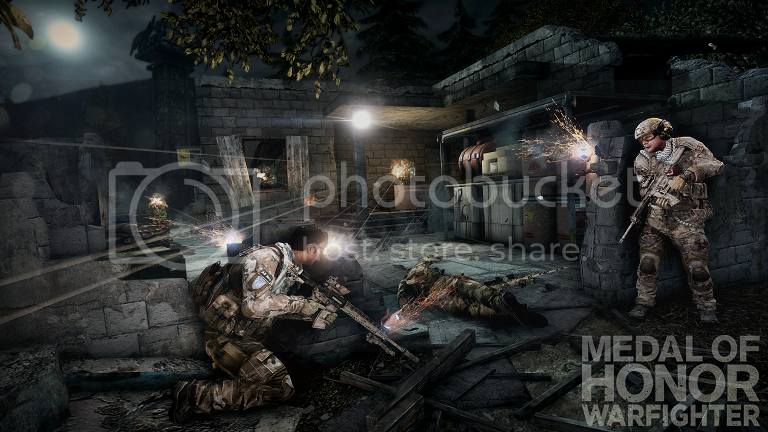 El beta multijugador de Medal of Honor Warfighter estará disponible por tiempo limitado a principios de Octubre exclusivamente para el sistema de videojuego y entretenimiento Xbox 360 ®. Los autores de Medal of Honor Warfighter son auténticos Operadores Tier 1 de EEUU desplegados en el campo de acción en el extranjero. La propuesta es ofrecer la experiencia militar de combate más auténtica de este año, inspirada en personas reales, lugares reales y operaciones reales. Medal of Honor Warfighter presenta zonas de conflicto internacional reales para el juego individual, e introduce soldados Tier 1 internacionales de 10 países diferentes en la modalidad multijugador, permitiendo que los jugadores hagan gala de su orgullo nacional online. Los jugadores que ordenen con anticipación Medal of Honor Warfighter Limited Edition antes del lanzamiento del juego el 23 de octubre recibirán el Medal of Honor Warfighter Zero Dark Thirty Map Pack en Norteamérica o el Medal of Honor Warfighter The Hunt Map Pack en el resto del mundo, sin cargo adicional. Medal of Honor Warfighter estará a la venta en Norteamérica a partir del 23 de Octubre y en Europa a partir del 26 de octubre para el sistema de videojuegos y entretenimiento Xbox 360, PlayStation®3 y PC. Para más información sobre Medal of Honor Warfighter visita www.medalofhonor.com, y www.facebook.com/medalofhonor, o síguenos por Twitter en www.twitter.com/medalofhonor. La información para la prensa se encuentra disponible en www.info.ea.com.